The Tiger T4940 camera is a compact camera with a 16-megapixel ON Semiconductor KAI-16050 CCD image sensor. The camera provides 4896 x 3264 resolution and frame rates up to 8.8 fps. 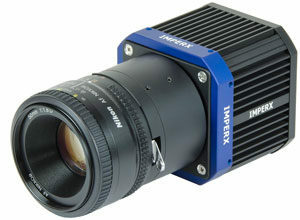 The camera’s 12-bit internal data image processing engine is based on an industrial grade, high-speed, high-density FPGA, enabling a broad standard feature set and easy implementation for demanding imaging applications. The camera is field upgradable and available in both Ruggedized and Industrial versions. Optional active force air cooling available.